Based on the critical response, it seems like the surprise post-Super Bowl Netflix release was the best thing that could’ve happened to The Cloverfield Paradox. The movie got a few hours of buzz from people who saw the Big Game commercial and then monster fans rushed to see how it would connect to the other Cloverfield movies all before anyone had a chance to tell them that it’s not particularly good. According to The Wrap, though, Paramount has no intention of doing the same thing for Overlord, the World War II-set horror thriller that is expected to be the fourth Cloverfield movie. 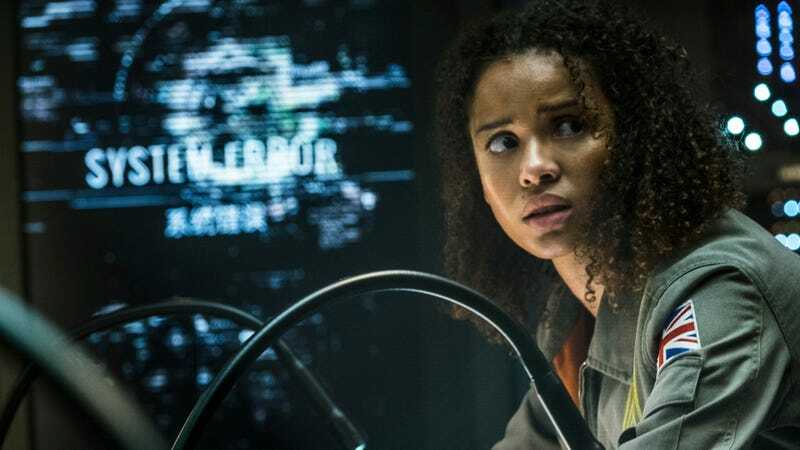 The Wrap’s sources say the Netflix deal for The Cloverfield Paradox was a “on-off” designed to make the movie “immediately profitable,” which implies that the studio knew it had some issues (supporting a rumor we reported on in January). Paramount and J.J. Abrams’ Bad Robot gave Overlord a release date last year, penciling it in for October 26, 2018, and it looks like that’s going to stand even though the Netflix gimmick worked out so well for Paradox—though it’s impossible to know how well, because Netflix doesn’t release numbers. If Overlord does become the fourth Cloverfield movie and it does stick to its October release date, it’ll most likely get some kind of new gimmick closer to its release. After all, every other Cloverfield movie has had some hook, ever since the original movie’s untitled teaser trailer.